Asako Otsuki came to know Jesus in college, through the Spirit’s use of both Cru and Reality LA. Through this, she saw the spiritual potential that exists on a college campus, where minds and hearts hunger for answers, purpose, and direction. As a person saved out of the many false, career-driven, “work hard, play hard” narratives at USC, Asako sees the practical need for the gospel to continue to offer living water to the thirsty and sees a great expectancy on the soil of USC. 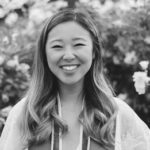 As a full-time local missionary to USC, Asako will primarily be discipling, equipping, and caring for women at USC through relationships, ministry training, and coaching. Her team I will focus on discipleship, retreat planning, and developing local partnerships. To play a role in the spiritual formation of students, seeing them grow from believers to disciples of Jesus through their college years. To empower existing believers to see their skills and roles from a kingdom perspective as opportunities for making disciples in their spheres of influence. To foster safe atmospheres and spaces of engaging dialogue for those seeking Christianity to ask questions and come, taste, and see the Lord. To create healthy engagement with the local church in order to mentor students in such a way as to create disciples for a lifetime. If you’d like to partner with Asako in her missions work in LA, please visit her Cru donation page.